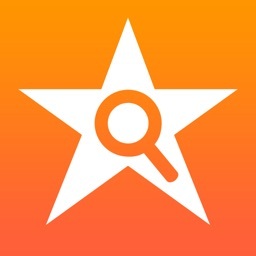 This entertainment app provides you with a look into the future. For movie fans, there's usually one question that comes to mind as soon as the credits start rolling: "Is there anything after the credits?" The Anything After app answers that exact question + more! 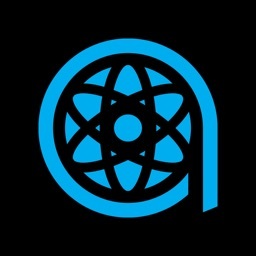 Its fully powered by a passionate community of movie-lovers just like you, sharing if there's a post credits scene, if its worth the wait, whether it hints at a sequel or if it was funny (like a blooper reel), and whether the movie was actually worth seeing in IMAX, 3D or D-BOX. And as a bonus, Anything After users can save up to 60% on local movie tickets too! 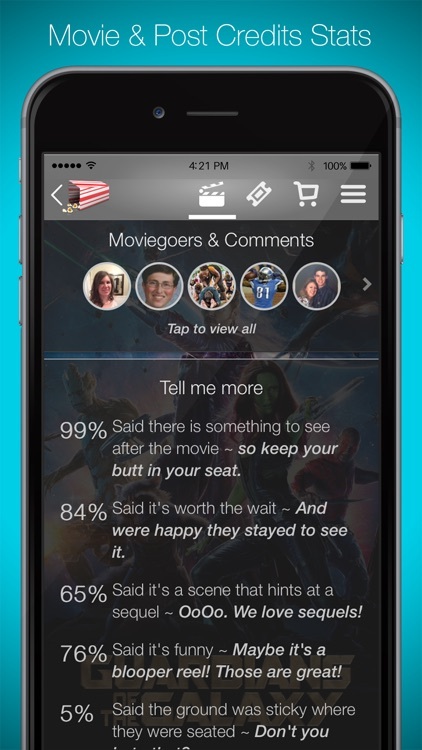 — This is definitely an app that should be in any moviegoer's pocket. It’s absolutely perfect for anyone that wants to know if there’s anything to wait for after the credits roll. If you’re not the kind of person that waits to see what’s after the credits no matter what type of movie you’re watching, there’s no point in checking out Anything After. 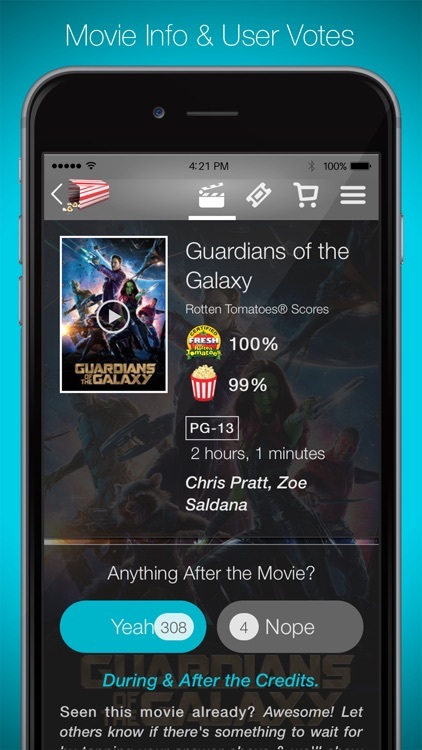 If you find yourself heading to the theater often, download Anything After today. It’ll save you a bunch of time. Featured on iTunes (“Going to the Movies” App Collection), CNET, Cult of Mac, Movies.com (Fandango), TUAW (The Unofficial Apple Weblog), AppAdvice, plus more. 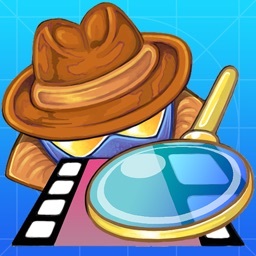 Save yourself from missing a bonus scene or waiting for no reason + more. • Quickly find out if there's a post-credits scene after the movie – without having to wait! • If so, see if it's actually worth the wait. • Join in by voting on movies you have already seen. 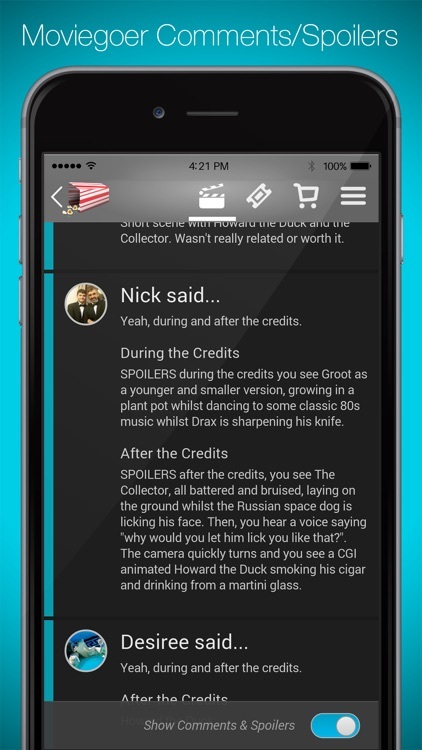 • Find trailers and the after credits SCENE right on your mobile device! 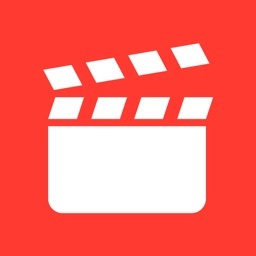 • New movies added daily! 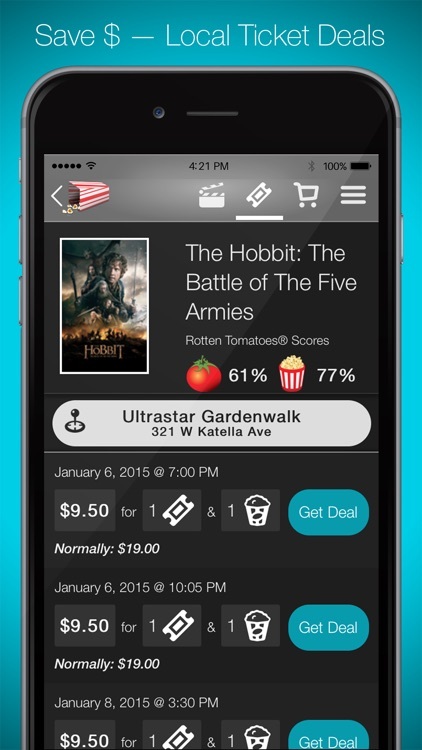 • Save up to 60% on local movie tickets and concessions in our in-app Ticket Deals section! • Beat the traffic and the long line at the restroom, especially if you know there's nothing you might miss during or after the credits ~ your bladder will thank you after that extra large drink. • AND also see if there's anything to wait for while watching a new DVD or Blu-ray release in the comfort of your own home. Hate to miss extra scenes in movies at the theater, or sitting though the credits to find nothing there? The 'Anything After' app solves this problem! 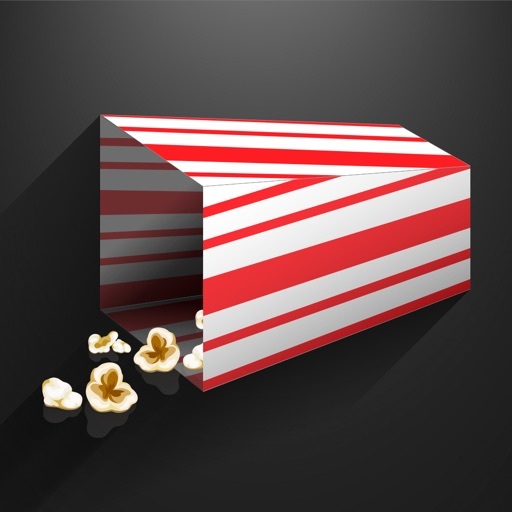 Powered by you, the Moviegoer! 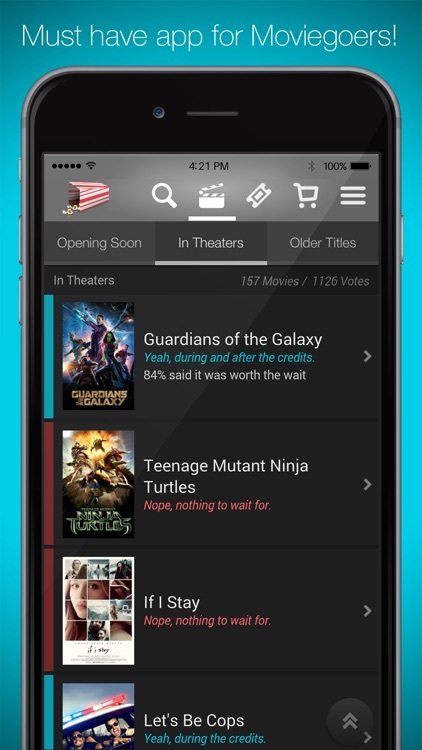 If you’ve seen a movie and know if there is or isn’t anything to wait for, be awesome and share that with others by tapping “Yeah” or “Nope” on that movie’s page ~ We’ll all love you for it! AND your Facebook profile image will be shown on that movie’s page, so people will see the awesomeness that is you. Easy, it's a Post-credits scene ~ (also called a tag, coda, or credit cookie) ~ a short clip that appears after some or all of the closing credits of a movie have run. It is usually either included for humor (where it may be called a “stinger gag”) or to set up a possible sequel, as well as to encourage the audience to stay through the credits during the theatrical release. 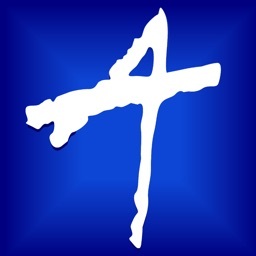 Today’s AGF list includes an entertainment app, a reference app, and an educational app.